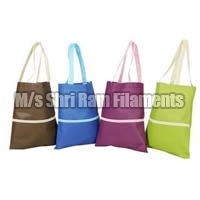 D Cut Non-Woven Carry Bag..
W Cut Non-Woven Carry Bag..
M/s Shri Ram Filaments is engaged in rendering valuable PP Spungbond Non Woven Fabrics that are used to develop Shopping, Rice, Shoes and Packaging Bags. Combining technical expertise with experience, we offer economically viable solutions relevant for packaging. 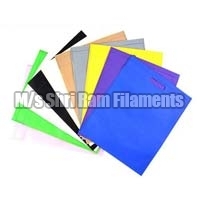 Backed with the team of professionals, we have been providing unmatched Spunbond Non Woven Fabrics, etc. with technical perfection. With our reliable after sales services, we have been serving some of the esteemed clients of India. 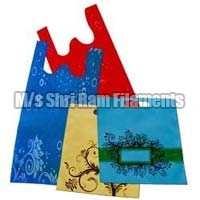 Today, we have carved a niche as one of the trusted Non Woven Fabrics Manufacturers, based in India. Our perfection shoots from our knowledge into the arena of production and distribution our products. Last but not the least, we attempt to maintain the integrity in our dealings, so that we can build up a strong relationship with our clients.